It all started out as a passion to spread the word to as many people as possible on the dangers of Vesico Vaginal Fistula. 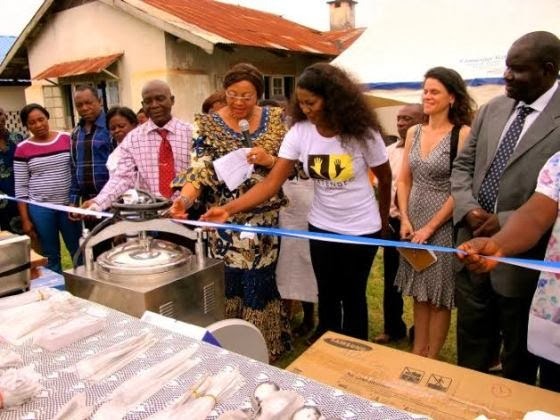 Many years ago, as a student of the University of Calabar, Nollywood star actress Stephanie Linus heard about some young girls who had been forced into early marriage and were suffering the negative and embarrassing effects of VVF. The encounter lingered in her memory until she began to seek ways to raise awareness on the condition. She embarked on a journey of research and visits to several hospitals and VVF centers both within and outside Nigeria to interact with girls and women suffering from the condition and doctors who took care of them. She also partnered with NGOs in other African countries like Liberia and Sierra Leone. These visits, interactions and research conducted over some years provided the blueprint for the script of her self-produced movie called ‘DRY’. Set to be released soon, DRY is a movie centered around two girls who found themselves in the same cultural trap full of ignorance and cruelty. But beyond the movie, raising awareness on VVF for Stephanie is a passion. “For some reason, I am deeply moved by young girls and women suffering from this condition and would continue to do everything I can to help as many of them as possible,” she said. 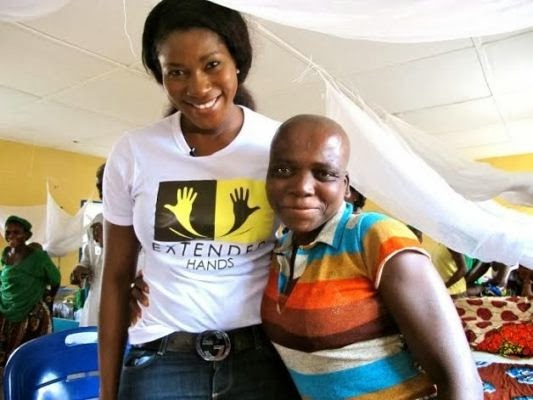 And so, for two weeks, Stephanie and her team from the Extended Hands Foundation (a charity organization founded by her) were in Ogoja, Cross River state, attending to the needs of 22 women living with VVF. 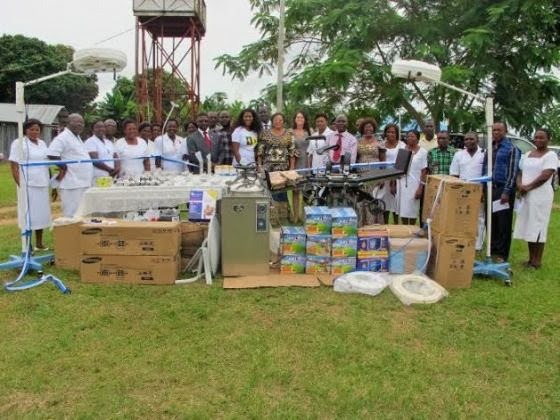 The project was sponsored by SNEPCo/NNPC with the support of some dedicated doctors and nurses at the General Hospital, Ogoja, Cross River state. 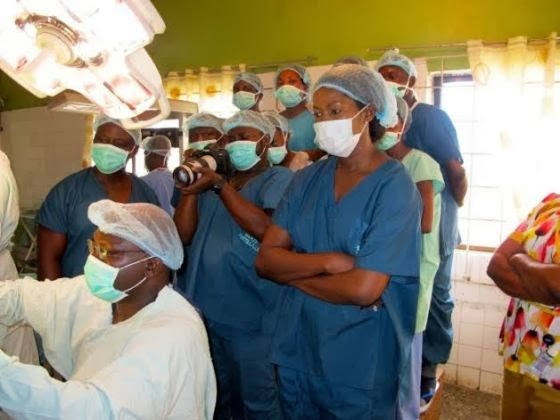 The team of doctors carried out repair surgeries on the 22 women and catered for them for 2 weeks, nursing them back to health. 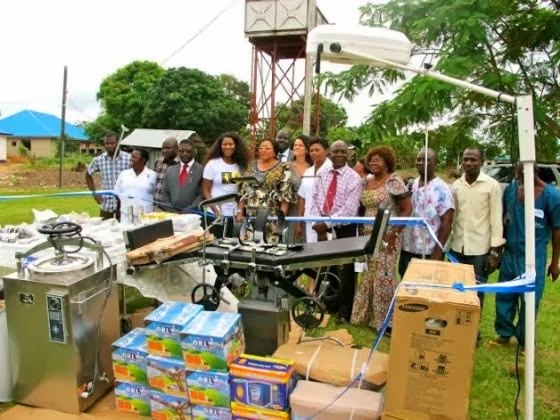 Aside from the surgeries, the foundation also donated surgical equipment and electrical supplies which was presented to the hospital at an event attended by the Cross River State Commissioner for Social Welfare & Community Development, Cross River State Barrister Patricia Endeley and the Director Health, Population and Nutrition Office USAID Dr Nancy Lowenthal. 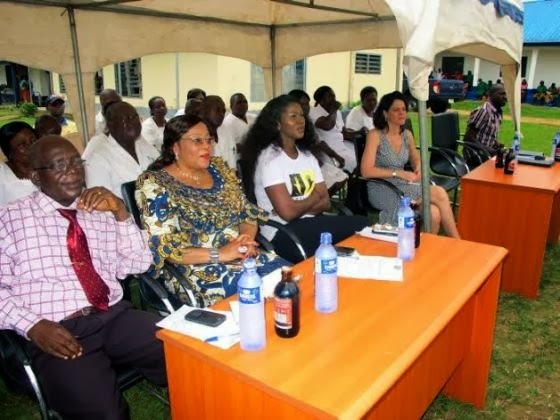 Other people who were present include Dr Joseph Monehine , Dr Adamu of Engender Health and the Chief Surgeon Dr Sa’ad Idris. Not only did Stephanie have very close interactions with the women who shared their devastating experiences, she watched the doctors perform the surgeries on some of the women and described her experience as “life changing”. Many of them had been living with the conditions for several years. 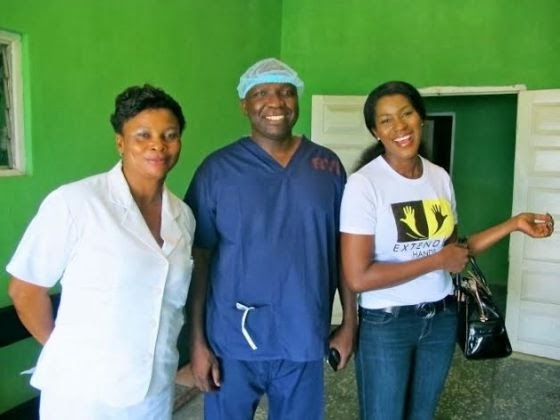 “There’s nothing like being in the theatre and seeing these doctors delicately restoring these women back to health and giving them another chance at living normal lives. The experience was life changing and I’m really glad I could be a part of this,” she said. For Stephanie and the Extended Hands Foundation, it’s not the end but the journey and awareness still continues. “In our own little way, let’s help spread the word against child marriage and VVF and ensure we live healthy lives,” she advises.